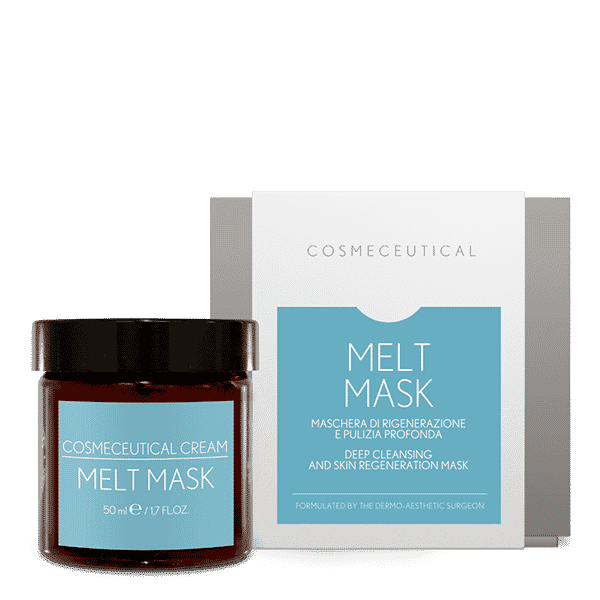 Melt Mask is an Anti-Age Mask and an effective cleansing treatment, able to regulate skin exfoliation and regeneration. Lactic and salicylic acids are responsible for skin regeneration, reducing wrinkle depth. 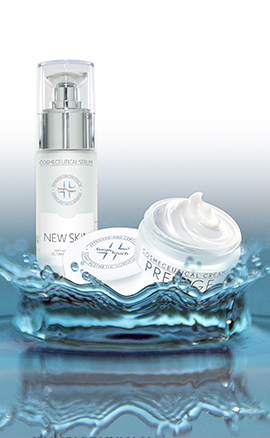 Lactobionic acid can create a natural matrix able to make the skin soft, elastic and flexible. It also has an antioxidant action. AHA (Glycolic, salicylic and lactic acid):They are widely used in aging and asphyxiated skin with spots. They are also used to improve acne and the scars it causes. They have a chemical peeling effect, namely the exfoliation of the superficial skin layers. They remove the most superficial skin cells, allowing skin regeneration. The skin appears younger, brighter, softer more transparent and homogeneous. LACTOBIONIC ACID:It has a proven healing action on wounds, it regulates exfoliation and cellular turnover. It has a long lasting hydrating action. Through skin application it constantly regulates hydrating and keratinizing system. Furthermore it has an antioxidant and repairing action. Lactobionic acid is used in cosmetic products with a light exfoliating, anti-aging and brightening action. BAMBOO POWDER AND JOJOBA MICROSPHERES:The very fine powder of bamboo, extracted from the reinforcing rings of its shaft, is used as exfoliator in cosmetic products. Jojoba microspheres are suggested for very sensitive skin types, because their exfoliation power is particularly delicate. It is a valid alternative to “stronger” thus “more irritating” scrubs.LACTOBIONIC ACID:It has a proven healing action on wounds, it regulates exfoliation and cellular turnover. It has a long lasting hydrating action. 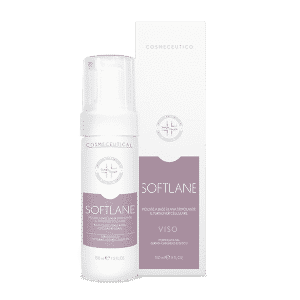 Through skin application it constantly regulates hydrating and keratinizing system. Furthermore it has an antioxidant and repairing action. Lactobionic acid is used in cosmetic products with a light exfoliating, anti-aging and brightening action. Jojoba microspheres are suggested for very sensitive skin types, because their exfoliation power is particularly delicate. It is a valid alternative to “stronger” thus “more irritating” scrubs. 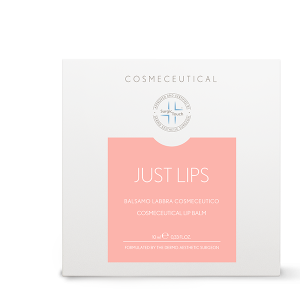 Apply it with a light massage on face, neck and décolleté (lips and eyes excluded). Leave it on for 10 min. and rinse. A light pricking is normal and temporary, due to AHA, which can increase skin photosensitivity. During the use, apply an adequate sun protection.